difficult codes. Accessible, compelling, and remarkably far-reaching, this book will forever alter your view of history and what drives it. It will also make yo wonder how private that e-mail you just sent really is. 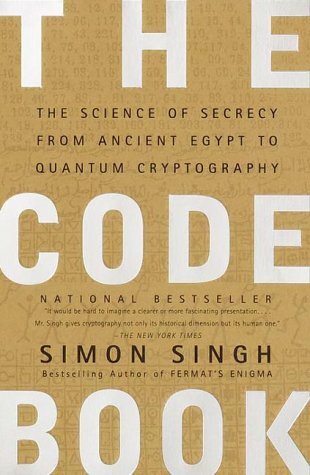 Simon Singh was born in Great Britain in 1964 and educated at Imperial College and the University of Cambridge (where he received a Ph. D. in particle physics). He worked at the European Centre for Particle Physics and the BBC's science department. At the BBC, he worked on Tomorrow's World. Singh and John Lynch produced and directed an award-winning documentary on Fermat's Last Theory. He later published a book on the same topic.